The Houghtonian was the quarterly magazine of Houghton-le-Spring Heritage Society, published in the Spring, Summer, Autumn and Winter. Each volume related to a particular year's activities, i.e. 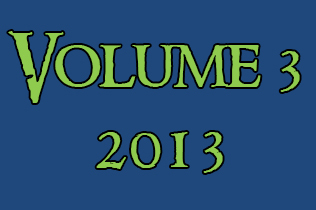 Volume 3 covers 2013, Volume 2 covers 2012, and Volume 1 covers 2013. Each issue is packed full of local history articles, news, genealogical quests and heritage mysteries. Can you help any of our readers fill in the gaps in their family tree research? Printed copies were available from Houghton Library and Shiney Row Library (before it was closed down). July 2013 Volume 3 Issue 1 contains all the usual features of genealogical quests, plus Linden Travers centenary event, local history article about Houghton's post offices, news and updates. Jan 2013 Volume 2 Issue 4 features our final look at the Diamond Jubilee year, tribute to the late Kath Rolph, big thanks to Gentoo, the Junior School, Houghton Art Club and the Great Miners' Strike 1912. Sept 2012 Houghton Feast 2012 Edition, featuring articles about the new Houghton Feast logo, Mr Houghton Feast - John Mawston, Jean Holland - the Golden Queen, Who Do You Think You Are - and more! June 2012 Diamond Jubilee Edition, featuring articles about our new President, the Golden Queen of the Golden Lion pub, history of Mautland Square, Houghton's Church tower and bellfry - and more! March 2012 Featuring articles about our new Patron, the missing Gilpin Thorn, photos of Houghton Big Club and Fish's grocery store, a mystery solved, mining memorial vandalised by metal thieves - and more! 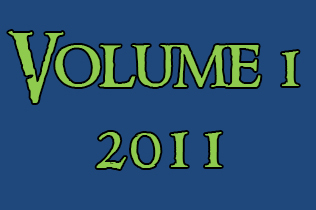 Jan 2012 Featuring articles about Greenhow - end of an era, the new NHS PCC, feedback, Houghton Feast 2011, HUDC photo, memories from Mrs Elizabeth Porter, an early car crash - and more! Sept 2011 Houghton Feast 2011 Edition featuring articles about Houghton Feast's 45th carnival parade, HODs 2011, colliery subsidence, Houghton Miners' Project, absent WWII memorial - and more! July 2011 Featuring articles about Heritage Open Days in Houghton, Coliseum Theatre's 90th, Kepiper School's 21st, Gaiety Cinema's 100th, Houghton's 7 colliery banners, plans for the old pit site - and more! March 2011 Featuring articles about the Gilpin Tercentenary Clock, Houghton's WWII Treasures, Rotary Crocuses, Bernard Gilpin time line, Houghton's Jubilees, the Buffs Club, Houghton Census entries - and more! Jan 2011 Featuring articles about the Houghton Heritage Archive, Mr Riani and his friend Puccini, 1945 memories, the Gilpin family crest, the old rent office, Rector Adamson, Houghton mysteries - and more! You can join Houghton Heritage Society by becoming a member on Facebook - or Fyass Byuk as we call it. We have over 6,000 members and the group is very popular with residents, descendants and ex-pats.